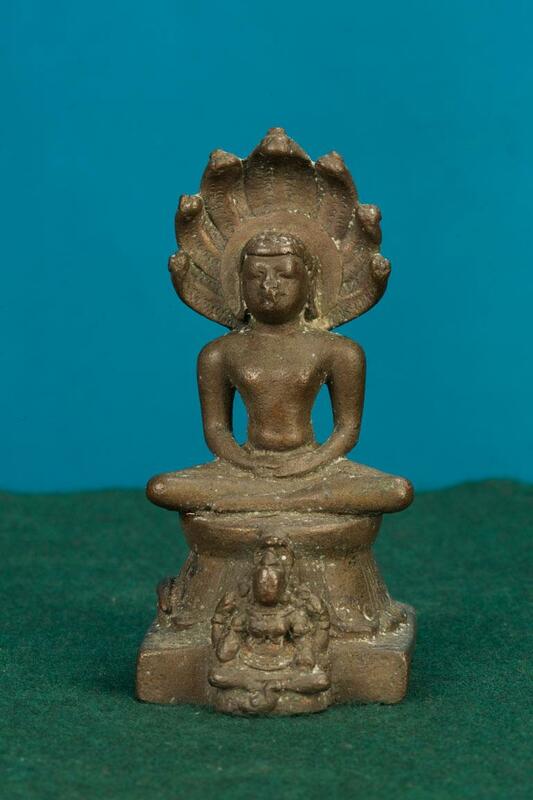 Parshvanatha was 23rd of the 24 teachers (theerthankara) or ford-maker of Jainism. Parshvanatha is identified by the sesha (serpent) hood above his head. His figure is usually accompanied by Dharnendra and Padmavati, the snake God and Goddess of Jainism. The sculpture of Parshvanatha is seated in meditation (Padmasana) under a seven hooded serpent. A four handed female deity is seen beneath the saint.